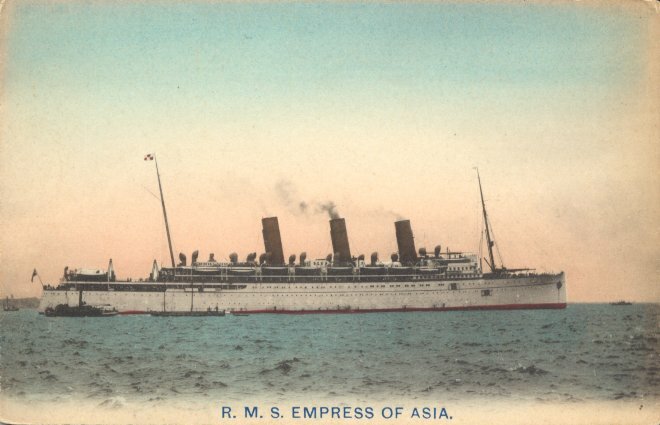 Empress of Asia was built for Canadian Pacific by Fairfield Shipbuilding and Engineering of Glasgow, and was launched in November 1912. 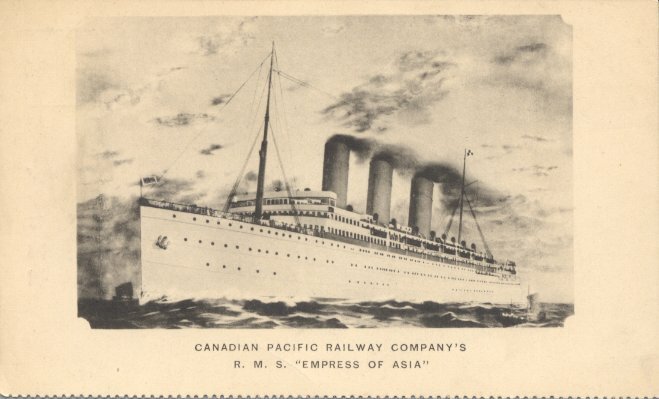 She made her maiden voyage, Liverpool-Cape Town-Hong Kong on 14 June 1913, and from there entered Canadian Pacific's transpacific service between Vancouver and Yokohama. 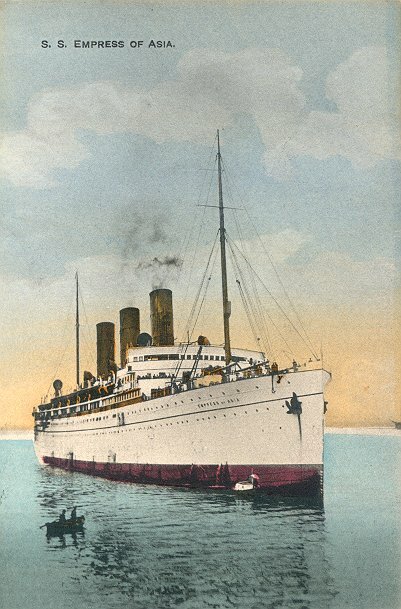 She was requisitioned for use as a Red Sea armed merchant cruiser in 1914. 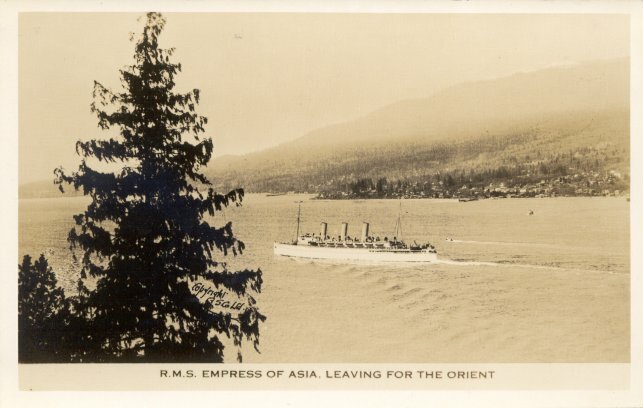 She was returned to Canadian Pacific in 1916, but was again requisitioned, as a troop ship, in 1918. 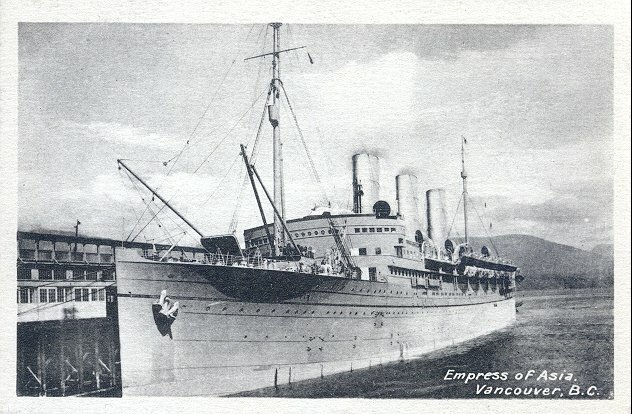 She resumed her duties in Canadian Pacific's transpacific service in 1919, and made a total of 307 voyages. She was again requisitioned as a trooper in 1941, one of a very small number of merchant ships to see duty in both World Wars. (Her sister, Empress of Russia, was another.) On 5 February 1942, she was sunk by a Japanese air attack while off Singapore; out of the 2, 651 people on board, there were fewer than twenty killed, but a large number of the survivors were taken prisoner when Singapore fell a week and a half later. The ship herself drifted ashore and burned out over the two days following the attack. She was scrapped where she lay beginning in 1952.